Conversations at Yale-NUS College are often dominated by outspoken students who are prominently involved in worthy pursuits such as student welfare and activism–like LGBTQ and environmental issues. Yet I often wonder: where do the experiences and voices of the Yale-NUS “wallflowers” then go? There exist many interesting people here at Yale-NUS College who, in their quiet ways, are also important members of the community. 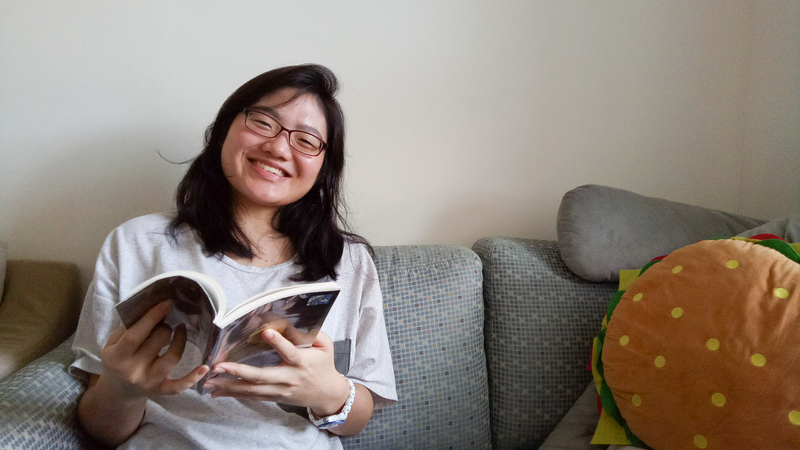 To learn about these lesser-known experiences, The Octant approached six students from different majors and cohorts for a short interview: Chaice Ng Hui Lin ‘19, Elysia Poh ‘19, Joshua Tan ‘19, Rachel Hau ‘18, Tng Yong Li ‘20 and Wu Shuin Jian ‘18. Chaice, Elysia, and Joshua are sharing an Elm College suite this semester. Disclaimer: For purposes of this article, the term “wallflower” is loosely defined as one who is generally not considered to be of high-profile in the college. This does not in any way mean that one is an apathetic observer of important debates within Yale-NUS. The term “wallflower” is also not meant to pigeon-hole interviewees into the category itself, but rather, exists as a “working” category. Interviewees may choose not to identify with the term. Ed. : Responses have been briefly edited for brevity and clarity. Introduce yourself/yourselves. What are/were you involved in on campus and beyond? Elysia (E): Hi, I’m Elysia. I’m a Psychology major. I don’t really participate a lot in school activities, but when I commit to a student organization, I commit 110%. I’ve been in Japan Society and am still in K-pop Dance. I spend most of my time in my suite “potating” with my friends. Hui Lin (HL): Hello, I’m Hui Lin. I am a Physical Sciences major concentrating in Chemistry. I served in Japan Society as Vice-President, and then President. Chances are you’ve probably seen me work at the Yale-NUS College Library. Elysia and I worked at the Elm Buttery for about one and a half years. Joshua (J): I’m Joshua. I’m a Philosophy major living in Elm College. I did ballroom dancing for a year, and then I took a break. I choreographed an item for one showcase last semester, but currently, I am not in any student organization. Rachel (R): I’m Rachel (Hau)! I would describe myself as a reserved, rather cautious person. But I also think I do share about myself quite readily if I’m comfortable. I like writing for fun, as I’ve written for The Octant before, and had prose published in college publications. I enjoy swimming because of the feeling of weightlessness I get, and because I feel like I’m expending physical energy and not just working my brain. If the sun’s out, I like observing the swirly patterns on the bottom of the pool. I like bubble tea a lot! 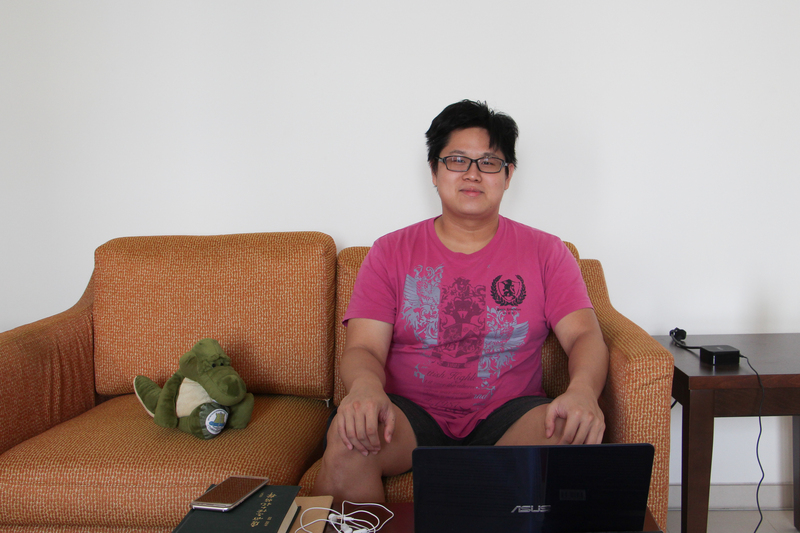 Shuin Jian (SJ): I’m Shuin Jian, a senior majoring in physical sciences, specifically physics. My main focus lies in astronomy, but there are many things that pique my interest and not enough time for all of them. Yong Li (YL): I’m Yong Li, a sophomore and I’m currently thinking of majoring in Philosophy! I’m also currently in Street Jazz and Chamber Choir. I like doing art, writing, singing, dancing! Do you identify as a “wallflower”? E: I feel like sometimes I can be, but I don’t want to be seen as a wallflower with a capital ‘W’. There are probably people who have less of a presence than I do in this college, but because I don’t participate so much in school discourse, I do identify as a wallflower. HL: I am a wallflower by choice. My opinion of what a wallflower is should not influence anybody else’s opinion. But I do think that it’s hard for me to talk to people i’m not very familiar with. I get super stressed out when I talk to strangers. In that respect, I’m quite wallflower-ish. J: I don’t identify as a wallflower. I don’t participate a lot in active discourse, and that’s a deliberate decision, because I prioritise other things in my life. R: I think so, because I’m an introvert and I like observing more than I like being in the middle of all the action. People have also told me they can’t hear me and asked me to speak louder (I do try…). However, I’m a friendly person and I try to talk to people when I can. I’m involved in community life in various ways so I’m not exactly detached from things that go on in school. SJ: Not really; everyone has their own preferred activities, and mine tend to not be particularly visible, e.g., stargazing & astrophotography. YL: I don’t think it’s something I identify very strongly with, but there are definitely times when I feel like a wallflower. How do you negotiate your place here at Yale-NUS? What sort of social pressures, if any, you face? How did you fare in those experiences? E: After coming back from my exchange semester, I realize that maintaining relationships is very important. But I feel increasingly pressured to meet people and to keep up with how they are doing in their lives. I will usually retreat back to my room, potate for a bit, play Pokémon and talk to my friends. That’s my way of recharging. At the end of the day, we can acknowledge that things are tiring, but at the end, they are always rewarding. HL: Because I’m in the Physical Sciences, a lot of my school experiences and consequently, social experiences, has revolved around my academic work. It’s harder for me to think how community-facing I should be, so I tend to err on the side of making sure I have my own stuff together, before I claim to be in a position where I can offer things back to the community. 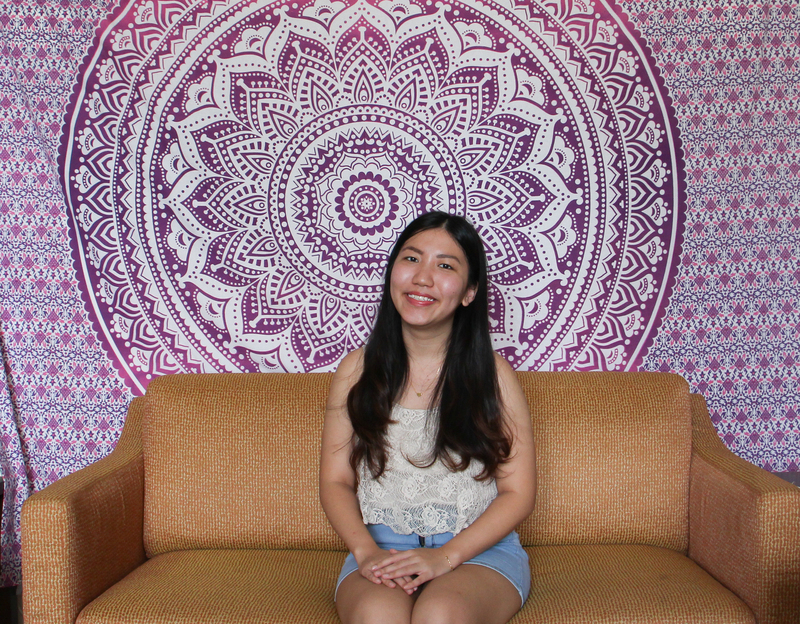 J: This semester, I’m feeling more pressure to reach out beyond my immediate social circle. Sophomore year was a year of retreating into my room and suite, being safe and insulating myself. There were a lot of other pressures in my life outside of school and it was very tiring, but at this point, I’m feeling more of a pressure as well to reach out and to build links. The small community I was part of was senior-dominated. They are no longer here so I don’t have that community anymore. I have my current suite and old suite; these communities are still there and I prioritise them. But I still want to reach out. If there are freshies that need a helping hand, or listening ear, I’d like to try to make myself visible for them. R: I’ve had people ask what student organizations I was involved in, and after I said the one I was involved in, they would pause and look at me like I ought to continue down my laundry list of ten student organizations. I think behind-the-scenes work, such as helping to plan speaker events, liaising with relevant administrative offices, etc., helps keep me grounded. SJ: I just live my own life; go to classes, chat with friends over meals, the usual stuff. It seems that there are various late night activities too, sometimes parties or just casual chats. Personally, I’m finding it more difficult to stay up late without any backlash the next day, so I try to minimize such late night activities to keep a proper rhythm for my body. YL: During the orientation period, there’s definitely this pressure to be really loud and fun and sociable but I think that has died down quite a bit now. Also, once I found some like-minded people, I became ready to give all this socializing a break. I definitely feel the pressure to be more vocal in classes, even now. I think I used to really beat myself up about not speaking – for some reason, not speaking made me feel like I wasn’t very smart. I have since come to terms with the fact that I can’t just go from 0 to a 100 like that. I speak more than I used to, but it’s still something I’m working on! But I also feel like it should be okay to not want to or have anything to say all the time. Well, you probably saw this question coming from a mile away, but it HAS to be asked. What are the perks of being a “wallflower” here at Yale-NUS College? E: Given that you’re a distance away from various situations, you won’t rush head-first into things to defend a position. Having a more macro view of things will allow you to come to a decision that is not so impulsive. I think the perceived need to compete amongst ourselves is sometimes quite intense. Maybe being a wallflower means that you don’t feel the need to compete with others. It’s not that we don’t care about issues happening around us. We approach it from a different way. HL: It is very easy to feel obliged to say something, to do something without considering the macro-perspective, or all sides of a debate. Choosing to be less socially involved has made it easier for me to create quiet spaces, to filter out a lot of background noise. It’s also helped my mental and emotional well-being—to be able to create that own quiet space, where you can give lot of care to yourself. J: I have time to invest in the small amount of relationships I have, to make them really deep. That’s really rewarding for someone like me who thrives off very deep relationships. I don’t feel the need to be involved in every little thing. I can actually settle into the small amount of relationships that I do have. R: Maybe a perk of being a wallflower is that when you actually speak up, people are like “wow she said something”, and they pause and listen. If I say something that is unexpectedly funny, I also think it’s more memorable. Being kind of reserved and sometimes solitary means I get to observe my surroundings more. If I was surrounded by a posse all the time I wouldn’t really have the chance to stop and take in the sounds and sights of this campus, which I will miss when I graduate. SJ: Well, [some perks include] a more regular sleep cycle and more moments of silence to relax. It helps with focusing on priorities and getting enough rest. YL: Maybe it’s a good thing not having so many people you don’t know whether or not to say hi/bye to. It’s also nice not to be constantly in a social spiral of events.